I CAN'T be the only one aghast at the fiasco regarding running a barrier draw for a horse race on the Sydney Opera House. 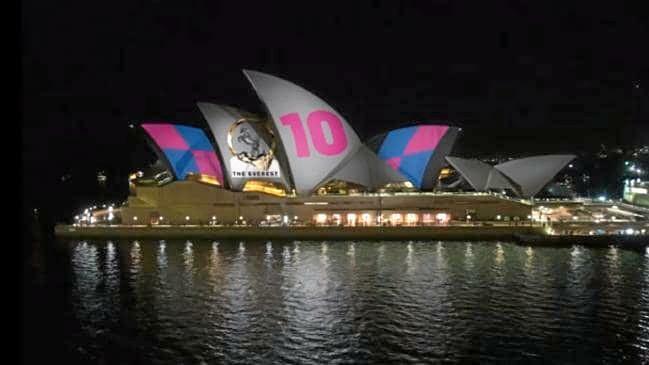 The only one who's come out of it looking any good is Opera House boss Louise Herron, who had the good sense to tell promoters there wouldn't be any wording or branding lit up on the nation's most revered and iconic building. It's a national disgrace that Premier Gladys Berejiklian overruled Ms Herron (apparently not at the behest of shock jock Alan Jones who went ape and incredibly said the Opera House CEO should be sacked). Now Prime Minister Scott Morrison, a devout Christian with strong family values, says he's fine with projecting a barrier draw on to the famed sails. If it was the Melbourne Cup, you could at least make the claim that the race has a special place in Australian culture, alongside the Opera House. But it's the Everest. A non-event. So why should it be treated as though it's as special as a national icon?